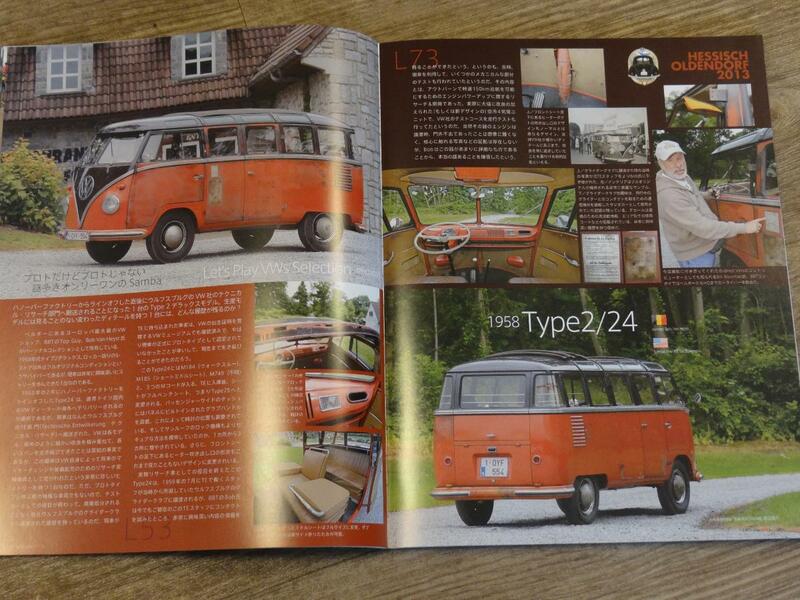 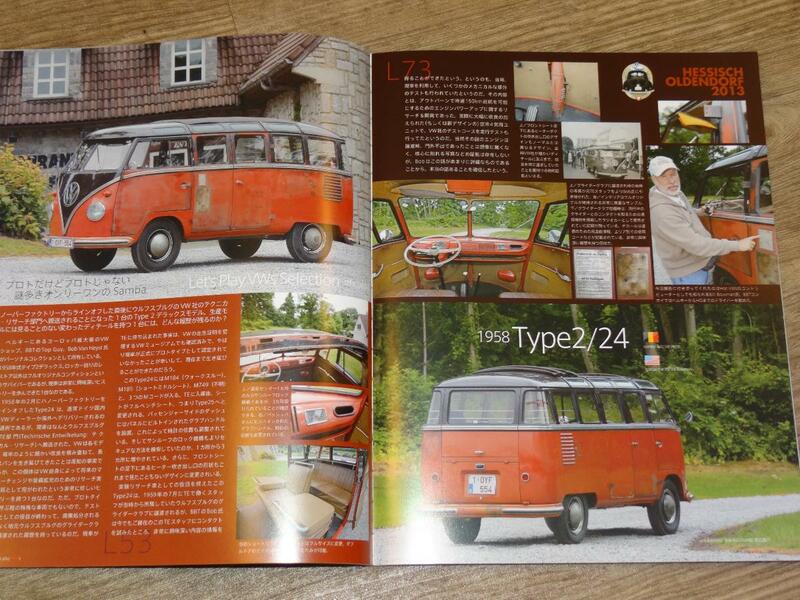 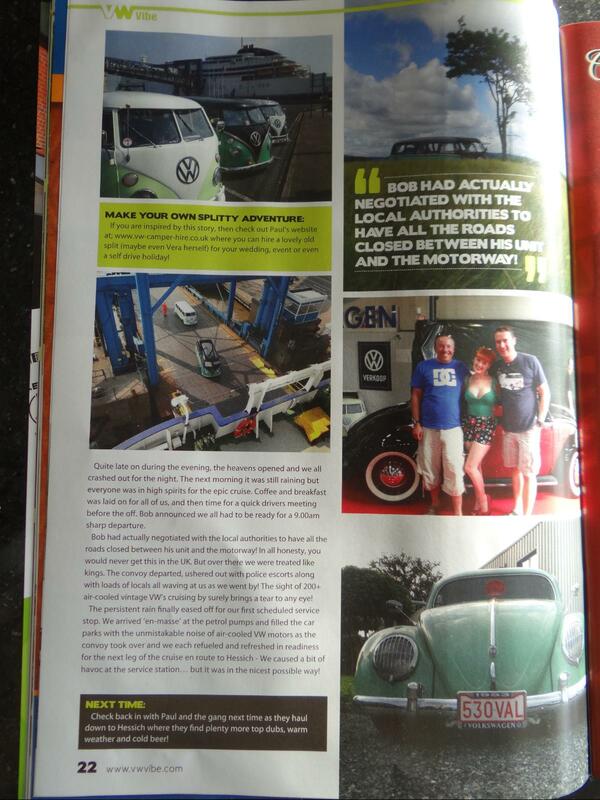 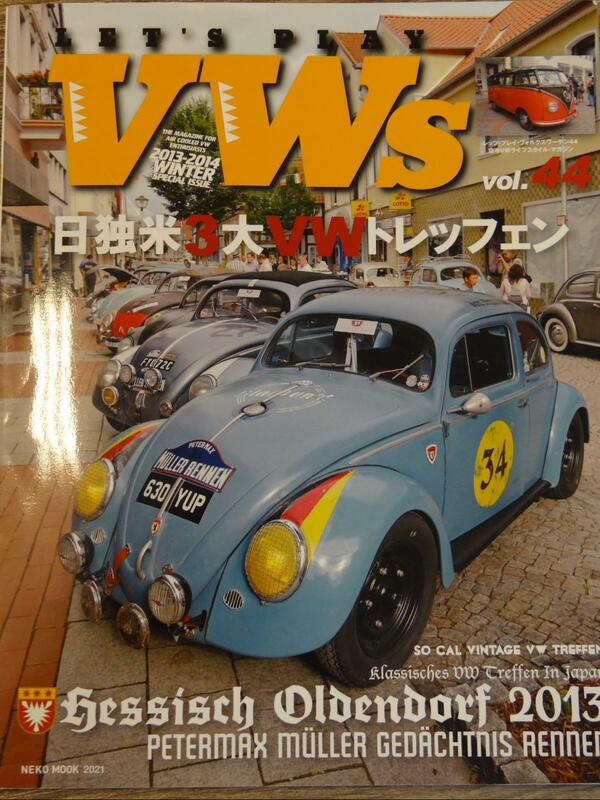 Another cool BBT feature in a British VW mag! 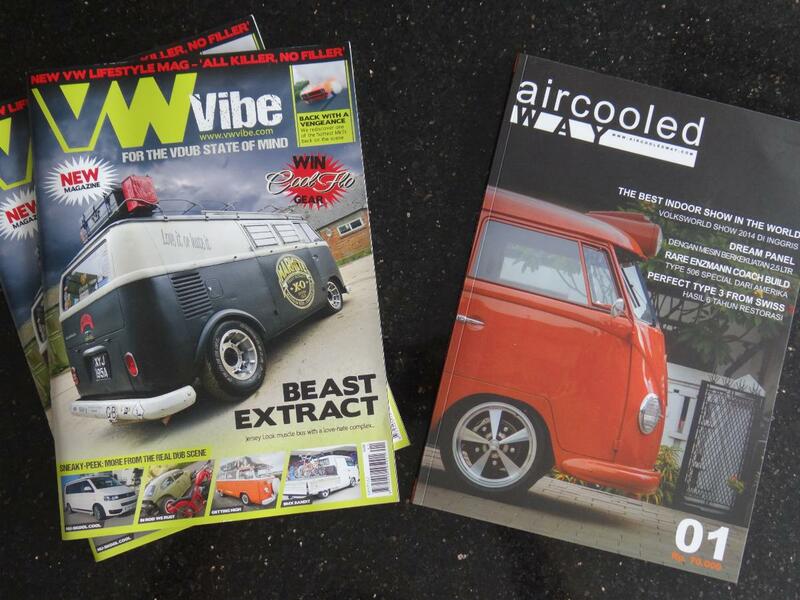 A cool relief to read a very cool feature about BBT’s last open house and convoy in VW Vibe mag, a real loaded quality mag from the UK…. 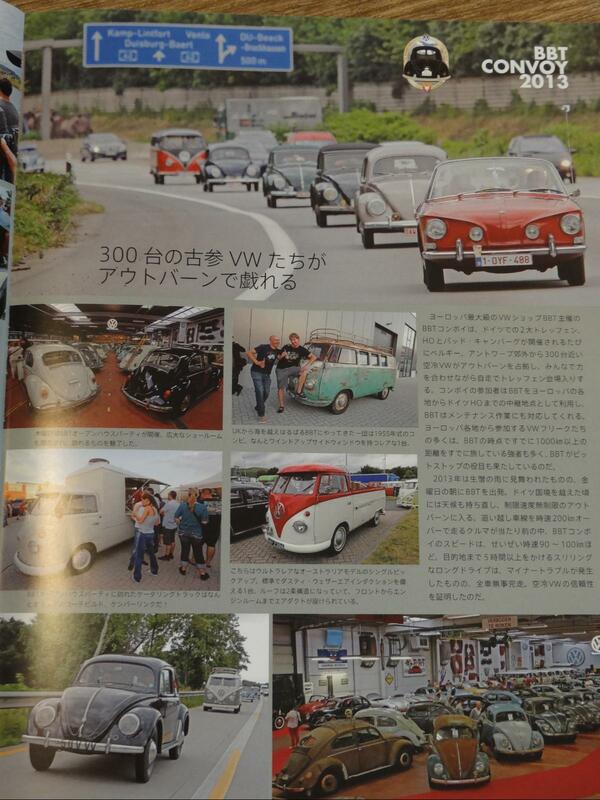 a loaded 4 page feature for sure! 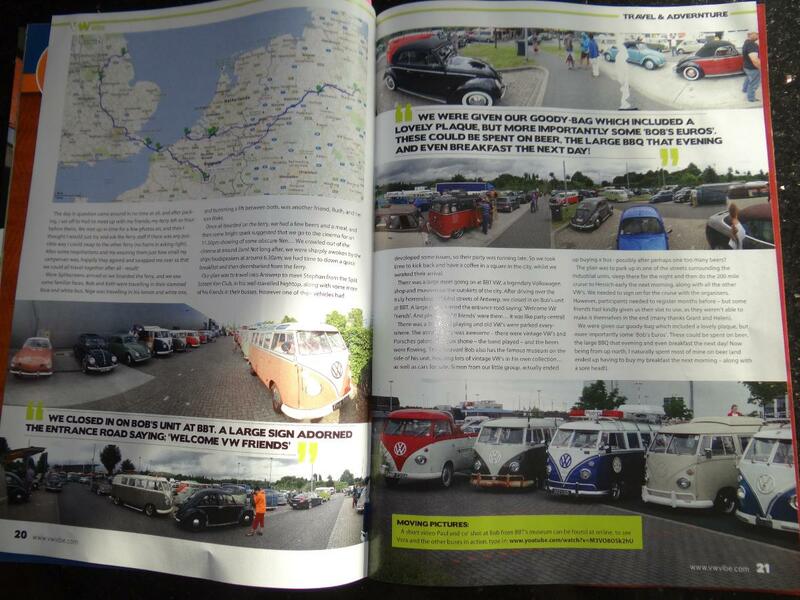 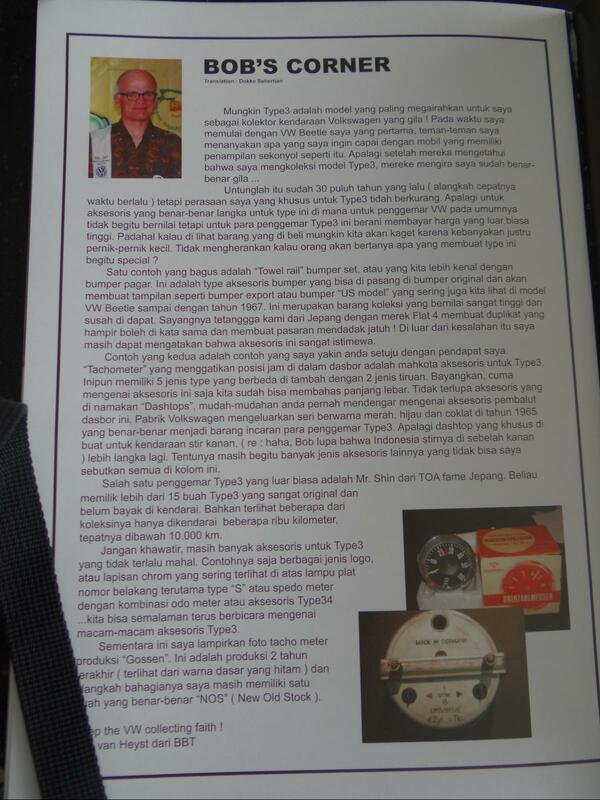 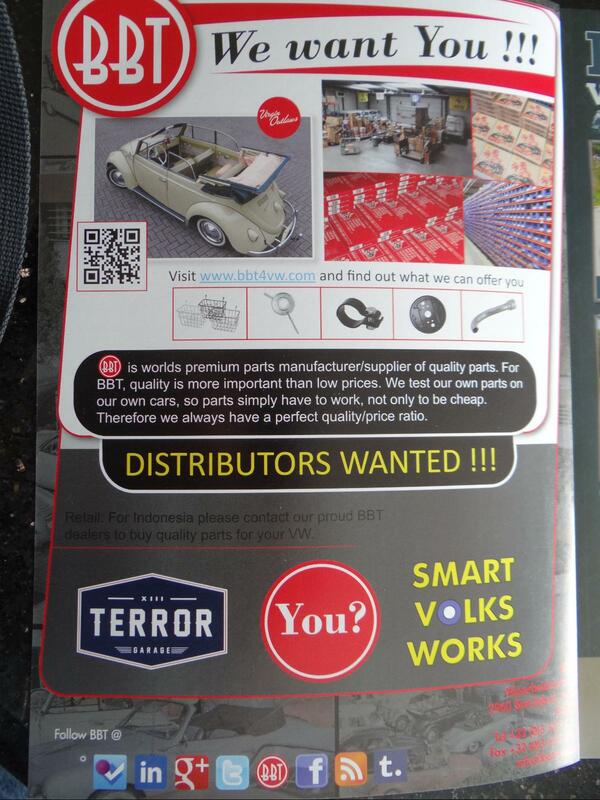 BBT car feature in a complete different magazine! 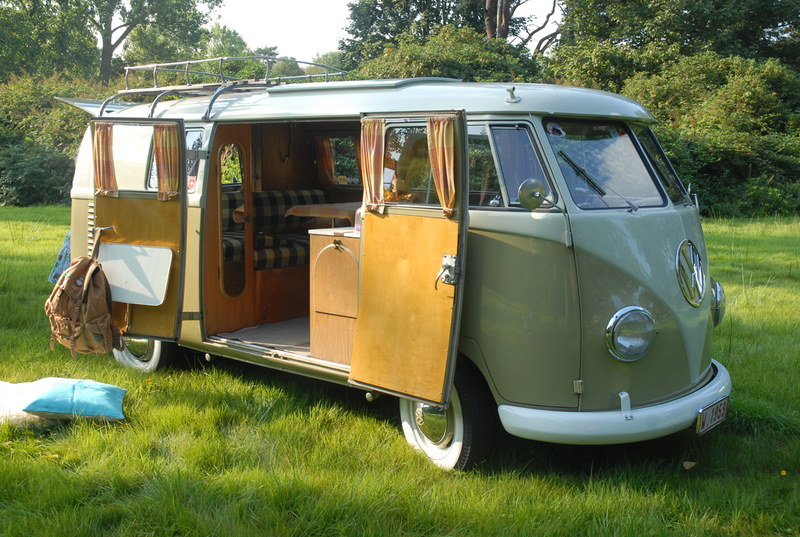 Pronails, leader in all manicure supplies, is based nearby BBT… so last fall we got a demand to supply a beautiful VW bus for the spring 2014 product catalog… our 1959 Westfalia was star of the photoshoot…. 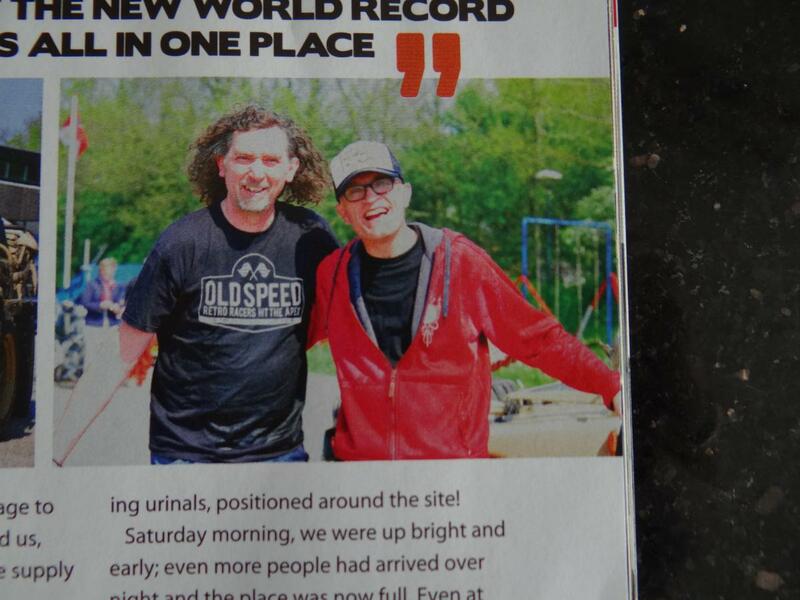 And one of the best pics ever in my eyes, Dave and me, having a good time… this is Historic! 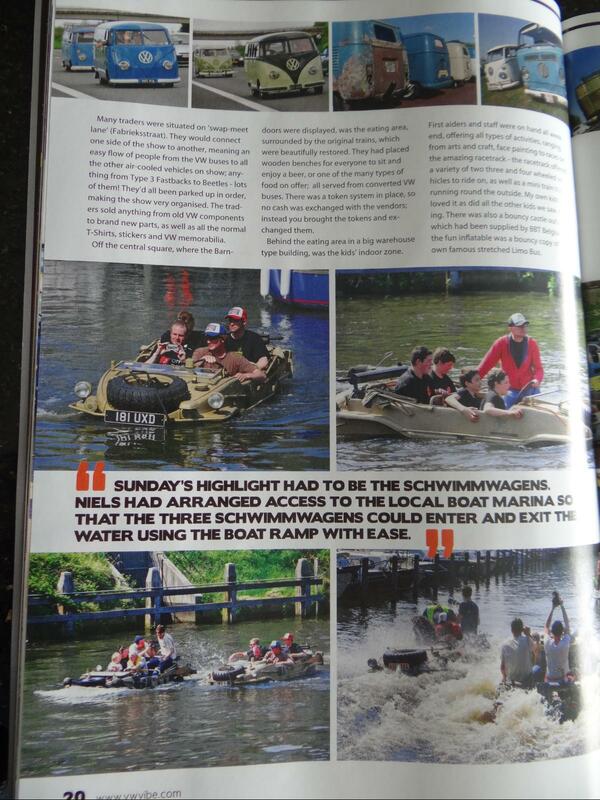 A close up of the “water pic”… oh yes, we do heavy swimming, do You see the contours of both Schwimmwagens? 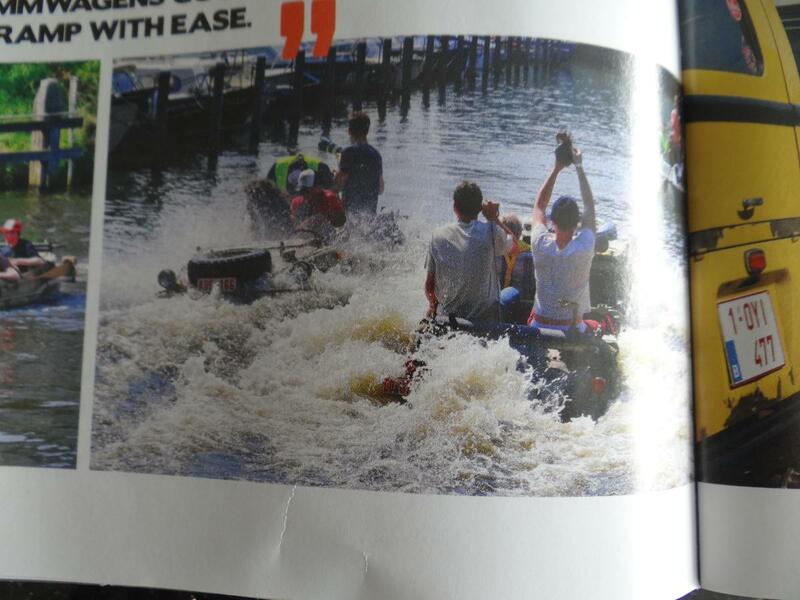 Hard huh? 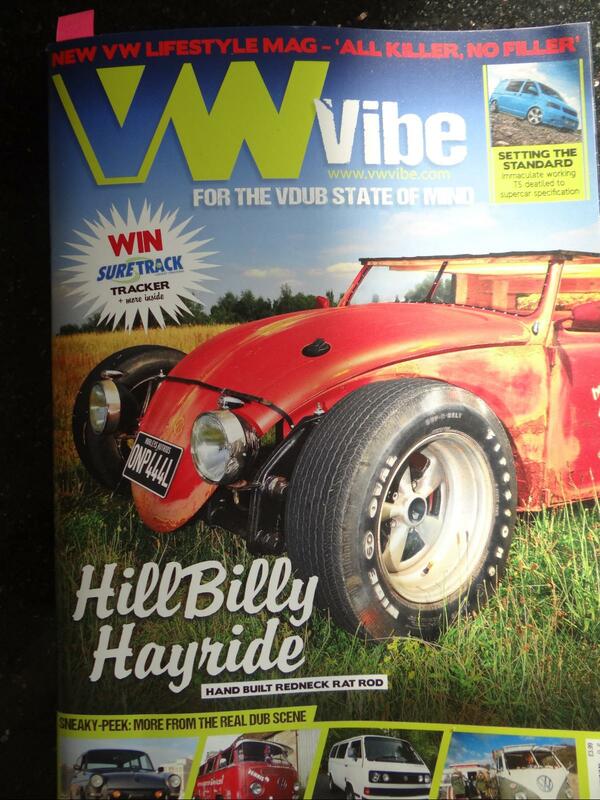 And no we didn’t sink….LOL… good vibes to remember, read VW Vibe! 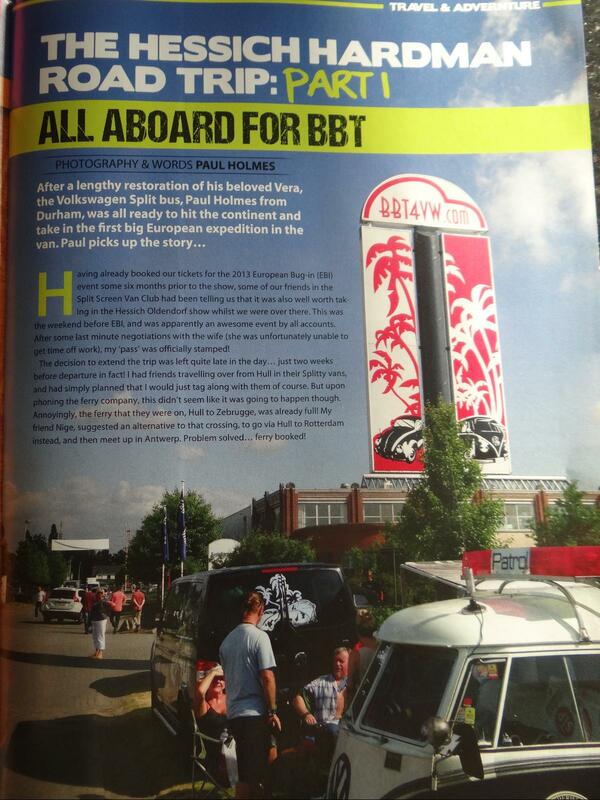 Another feature for two cars out of the BBT collection! 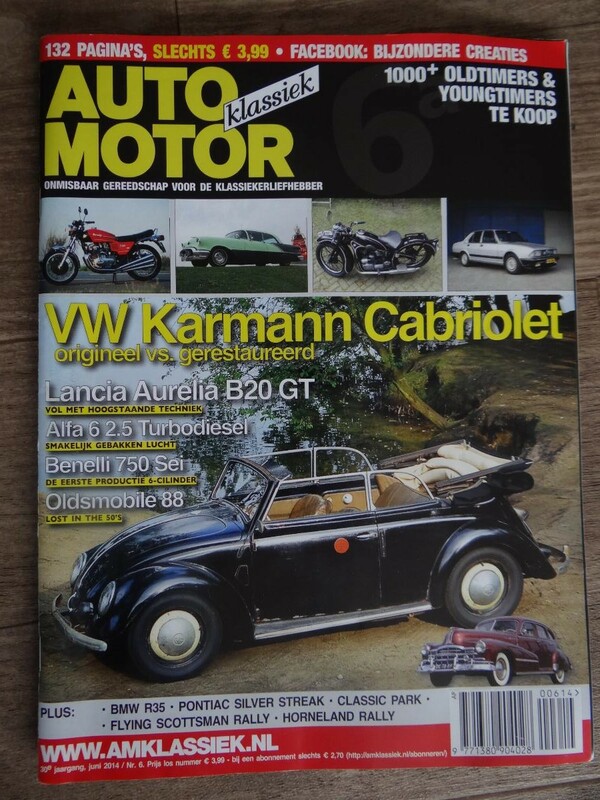 Auto Motor Klassiek did a cover and 6 pages feature about our 1952 unrestored and 1960 all restored convertibles. 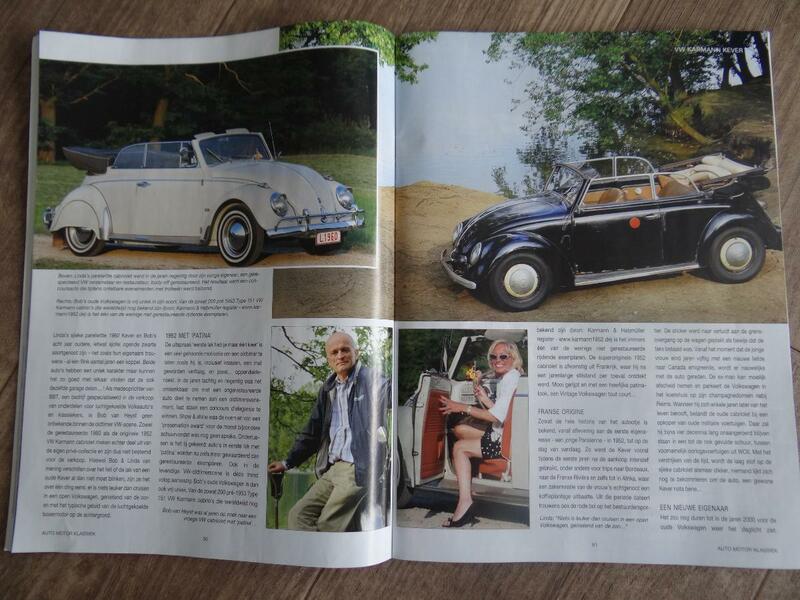 Paul Peeters from PP press was responsible for text and pictures.